Let’s play Tick Tac Toe! Spring has sprung in Kansas City. That means time tending your garden, kids running barefoot in the backyard and playing with your dogs in the local park. It also means it is tick season. Ticks aren’t just annoying; they can spread Lyme disease. According to the CDC, Lyme disease is caused by the bacterium Borrelia burgdorferi and is transmitted to humans through the bite of infected blacklegged ticks. Typical symptoms include fever, headache, fatigue, and a characteristic skin rash called erythema migrans. For lymes disease to be transmitted, the tick needs to be attached for 36-48 hours. You need to act fast in order to avoid the serious consequences of a tick bite. Most people think to look for tick bites on their head, back and arms. These are important places to look for ticks, but you can’t forget to look down when searching for ticks. Your feet are also susceptible to tick bites. Ticks live in wooded areas and along stone walls, so walks in the woods, walking 18 holes or along walking trails can leave you vulnerable to ticks crawling up your shoes and ending up biting your toes. Spray your shoes and socks with tick repellent before going outside. Check your toes after coming inside. Be sure to look in between each toe for ticks. Remove a tick immediately and be sure you are able to remove the head of the tick. For instructions on how to safely remove a tick, click on this link to the CDC website. If you are unable to remove the tick, be sure to call your primary doctor for assistance. Take your socks (and shoes if possible) and dry them FIRST before washing them. 5-10 minutes in the dryer on high will kill any ticks. Remember these five tips for Tick, Tac, Toe! 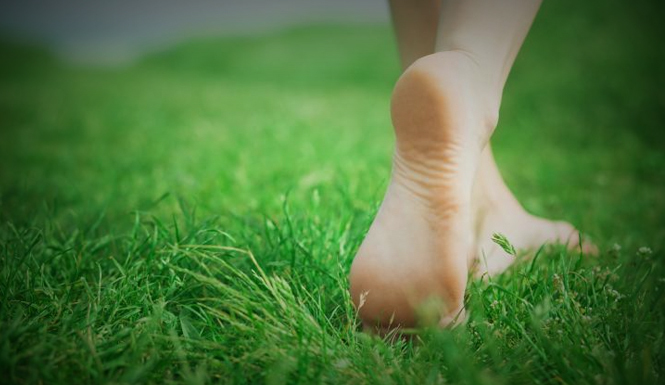 With these simple steps you can enjoy your time outside and keep your feet and ankles bite-free. Dr. Mark Green with Kansas City Foot and Ankle keeps Kansas City’s feet happy and healthy!